Back in early 2016, the United States Federal Bureau of Investigation failed to pursue all possible solutions to unlock the iPhone 5c owned by San Bernardino shooter Syed Farook before demanding Apple's help accessing the device, reports Reuters. The information was shared today in a report issued by the Department of Justice's Office of the Inspector General. 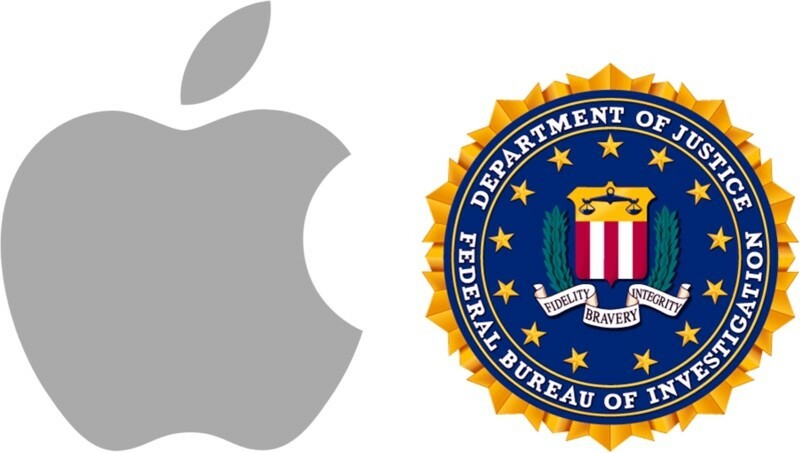 According to the report, the FBI's in-house unit that handles breaking into mobile devices did not begin looking for outside help to unlock Farook's iPhone until the night before the FBI demanded Apple's help through a court filing. The FBI was aware that one of the vendors contacted at that point in time had "almost 90 percent completed" a technical solution that would allow the FBI access to the phone. The FBI, though, in its court filing with Apple at the time, said there were no other options for accessing the device. A judge ended up ordering Apple to help federal investigators access the data on Farook's iPhone by creating a tool that would bypass the auto-erase function and allow investigators to submit an unlimited number of passwords to attempt to unlock the iPhone. Apple, of course, opposed the order and refused to build such a tool, leading to a long and drawn out legal battle with the FBI that only ended when the FBI admitted it had indeed found another way to access the device. Communication failures at the FBI were to blame, causing some officials to "misunderstand the status" of the FBI's efforts to open the device. That led to delays seeking help from the FBI and the vendor that was ultimately able to unlock the iPhone. The report from the Department of Justice comes as some law enforcement officials are again pushing for backdoor access into electronic devices to aid in criminal investigations. Both DOJ and FBI officials have been quietly meeting with security researchers to explore technology that would allow "extraordinary access" to encrypted devices like the iPhone without weakening a device's defenses against hacking. Earlier this week, Apple's Craig Federighi reiterated Apple's stance that such a backdoor would be dangerous. "Weakening security makes no sense when you consider that customers rely on our products to keep their personal information safe, run their businesses or even manage vital infrastructure like power grids and transportation systems," he said. That’s because the FBI does not care about security or procedures. Just like it obtained that faulty FISA warrant by using a phony piece of evidence. They just want what they want and use legal action as a threat. Reform is absolutely needed. The FBI wanted a test case, and because the shooter was engaging as an act of terrorism, it fit the bill in that it would be hard to turn the request down. In essence, the FBI wanted to establish a precedent and actual progress in the case was secondary. You'd think they'd have learned something from all the recent instances of hacking about the risks of a back door. Of course they didn't. Typical bureaucracy. It hurts me to see the integrity of the FBI damaged so substantially in the last few years. I would like to consider my justice department bipartisan, trustworthy, and competent. Wishful thinking these days. Yes, reform is absolutely needed, in more places than just the FBI. What do you expect from the Federal Bureau of Idiots. It was never about gaining access to that phone, it was about setting legal precedent. No one really cared if there were another option to get in so no surprise it wasn't properly communicated. Exactly, this was about an attempt to create a test case to get backdoors installed. This wasn’t incompetence no matter what the newly anti-law enforcement right wing wants to say. They are on the side of the spear, not the shield. I don't think they care as much about the risks. How did the FBI ever earn the integrity you used to place in them? From depictions in TV/movies? Name an instance when the FBI did something to warrant any kind of respect? I certainly can’t think of any recent examples. I think the truth is the FBI has never been worthy of praise or respect. It’s an aberration that never should have existed in our country. Just dismantle it and save the taxpayers. Just had to sneak in a little partisanship in there... that’s exactly how we got the FBI we have today. That political team reflex only betrays a mind poisoned by political team think. Considering it’s both Republicans and Democrats responsible for this mess, the only honorable thing is for you both to tap out. Clearly these political teams aren’t remotely interested in enforcement of law. The attacks on the FBI are motivated by partisanship. It’s worth defending since while they have their flaws they are one of the few areas of our government that is still reliably non partisan. These are the things that frighten me. This statement shows that the DOJ and FBI have a critical lack of understanding about security, technology and hacking. The idea that there could be a way in that was not accessible by hacking is naive and dangerous. Hackers manage to get into things where there is no back door. If the door exists, it's just that much easier to get in. Apple is doing their best to keep it secure, but this is like asking for a waterproof device that will only let certain drops of water through.